MAKING LIFELONG FOLLOWERS OF CHRIST. SRCyouth is the 6th-12th grade student ministry of Spanish River Church in Boca Raton, FL. We're here "to make lifelong followers of Christ," so everything we do is measured against that directive. 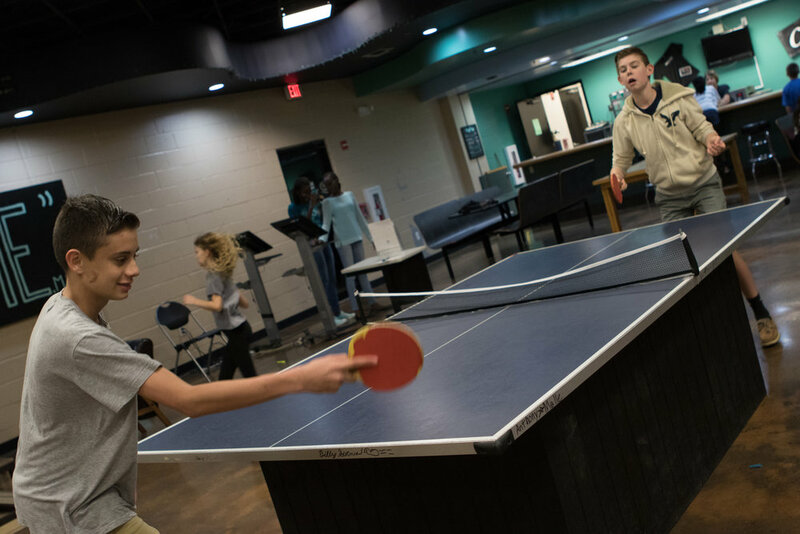 In addition to regular gatherings on Sunday mornings & Wednesday nights, SRCyouth hosts special events, including a monthly Friday night Mayhem for Middle School, service projects, mission trips, and recreational activities throughout the year. For more information on involvement or leadership within SRCyouth, contact youth@spanishriver.com. We take the responsibility you've entrusted to us very seriously. We want you to know that when your kids are here, they will be in an environment that is safe, secure, and "bully=free." If you have any questions or concerns, please feel free to reach out to our student ministries director. Our Middle School program seeks to create a community where students in the Boca Raton area can experience a relationship with Christ and be challenged to follow him. We open the doors wide at large group events in hopes that students will invite their friends and begin to form relationships in a church setting that feels comfortable and welcoming. Our goal is to see them come to smaller mid-week groups and eventually get connected at more in-depth LifeGroup classes. Based on Acts 2:42, Middle School 2:42 is a Wednesday night gathering for Middle School students to come together and hang out with friends, meet new ones, hear a relevant biblical teaching and enjoy relationship building games and activities. High School Leaders participate as "big brothers and sisters" and are on hand to pray and encourage! Faith is challenged, encouraged and grown in community. Sunday Discipleship is a LifeGroup-style time of teaching and small groups where students can be challenged in their faith and grow together. Mayhem is a uniquely themed epic night of crazy activities where Middle School students make unforgettable memories and build community with one another. High School students who want to take their faith further can join the leadership team and lend a hand at MS 2:42, a Wednesday night program where Middle School students to come together for fun, food, fellowship, and biblical teaching and prayer. Leaders are expected to make an attendance commitment, sign a covenant and help to lead games and small groups. Our High School Discipleship Large Group meets on Sundays from 10:45am - 2:00pm for a time of teaching, fellowship, relationship-building, and fun activities. Students meet at 10:45am on the balcony in the Worship Center, attend the service together and then head back to the Youth Building for lunch and small group discussions. It's a great place to make friends and strengthen your faith. Join SRCYouth as we study the new Alpha Youth Series. The series includes 13 episodes, each around 20-25 minutes long. Each episode will include discussion breaks for conversation, and personal testimonies related to the theme of every episode. Interested in serving in the SRCYouth ministry? Would you like to learn more about what opportunities are available? Please fill out the form below and we can tell you all about it! Please select all fields that you would like to serve in. Thank you for your time and dedication! We will be in touch soon!